If you are looking for the Best Carpet Cleaning Special in Birmingham AL, you just found it. 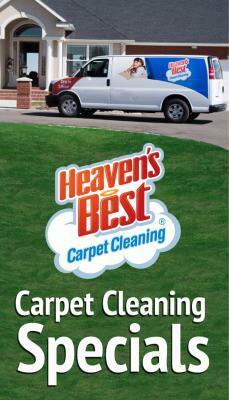 Heaven’s Best 3 Room Carpet Cleaning Special is an Awesome Deal! Get 3 Rooms (up to 200 Sq Ft each) professionally cleaned and deodorized for only $87. This special cannot be compared to some other carpet cleaning companies who give very cheap carpet cleaning rates. When they give a cheap price, they also give cheap service. Heaven's Best Carpet & Upholstery Cleaning’s 3 Room special is not a cut-rate deal, but a full service carpet cleaning at a very good price. The competition cannot beat this Profession quality 3 Room Special. Heaven’s Best 3 Room Carpet Cleaning Special includes the following services: commercial vacuuming with the industry’s best commercial vacuum, pre-spotting & pre-spray, our unique Heaven’s Best Carpet Cleaning Solution, and grooming after the carpet has been thoroughly cleaned. Heaven’s Best Carpet Cleaning Solution is a mix of three dirt fighting ingredients. All three of these ingredients are environmentally safe, so they won’t harm your children, or your pets. The first is our special Heaven’s Best carpet cleaning solution that is unique to our franchise. To add extra boost to our cleaning power, we add in a citrus booster that helps get out dirt and stains. And, finally we add in an orange deodorizer that adds an extra level of deodorizing, so your whole house will smell clean and fresh. We don’t cut corners on our 3 Room Special. You will get the same level of service whether we are cleaning your entire house or just a couple rooms. We take extreme pride in our work and we want you to be a customer for life. Try us today! Heaven’s Best Carpet and Upholstery Cleaning is a Veteran-owned, Full-service Carpet, Upholstery & Floor Cleaning Company specializing in Low-Moisture Carpet Cleaning, certified by the Institute of Inspection Cleaning & Restoration (IICRC). Our unique Low-Moisture cleaning process is in high demand because it doesn't soak your carpet or damage the fibers. As a result, your carpet will last longer and will dry faster, usually in one hour, so you can get back to your daily routine in no time. So, if you need your carpets cleaned and you are looking for a great value for your money, call Heaven’s Best of Birmingham today at (205) 618-9150. You can’t beat this Best Carpet Cleaning Special in Birmingham, AL.